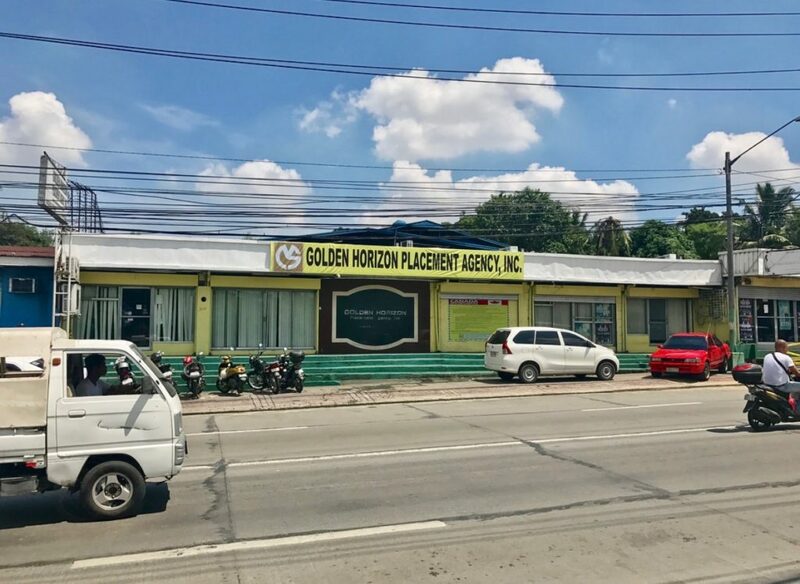 However, the OEC processing for Professional and Skilled workers seem to confuse some applicants as they were told by the POEA that they do not handle the paperworks for this specific category. 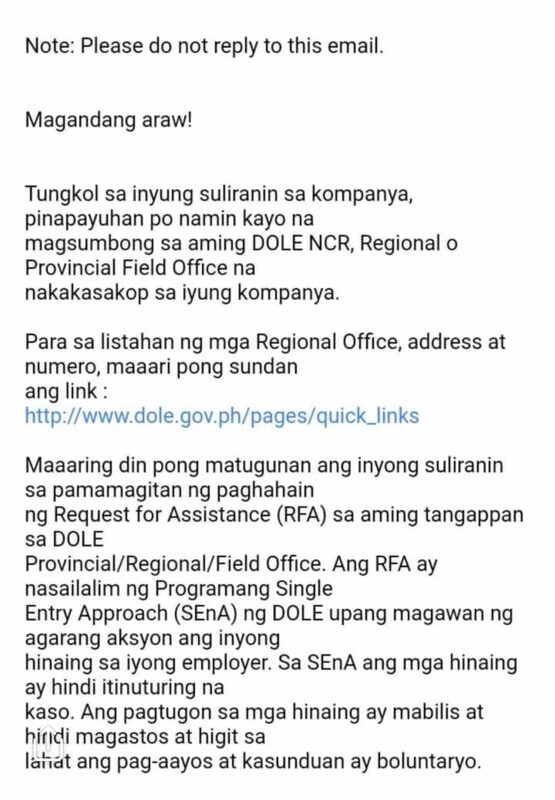 If I got it right, this means that applicants who are qualified under this exemption will have to submit their requirements to DOLE instead of POEA. 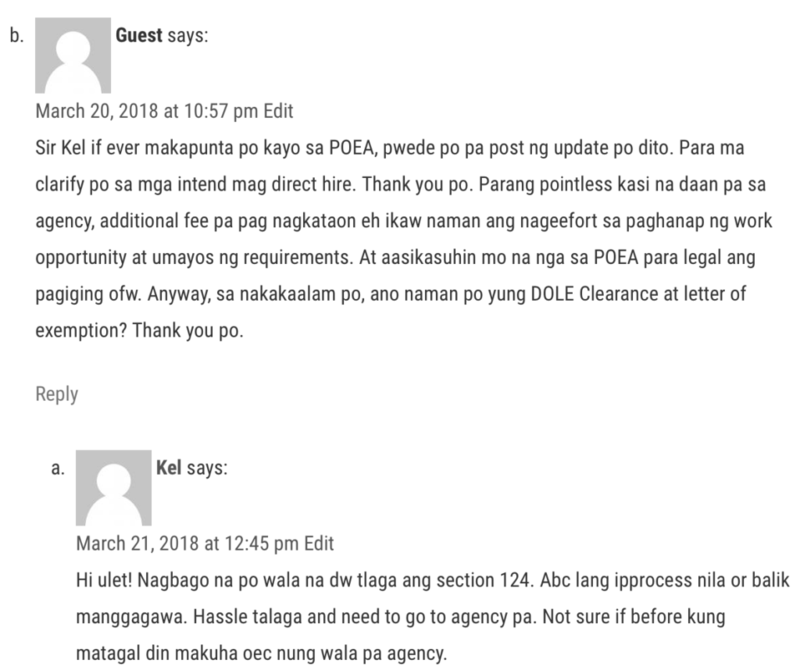 UPDATE: It looks like Professionals and Skilled workers are no longer part of the exemption, at least based on the accounts of applicants who’s been to the POEA office lately: These comments are posted HERE. Anyone who went through this process this year (2018)? Care to share your experiences? 1. The iDOLE OFW ID Card is FREE! 2. Currently, this is only available for NEW Balik-Manggagawa (worker-on-leave, or vacationing OFWs). “This is only the first phase of implementation and will cater first to our Balik-Manggagawa until the system is ready for all OFWs. We are doing this to secure the database and for further improvements in the system,” Secretary Bello said. 3. Registration can be done online via idole.dole.gov.ph in 3 easy steps! 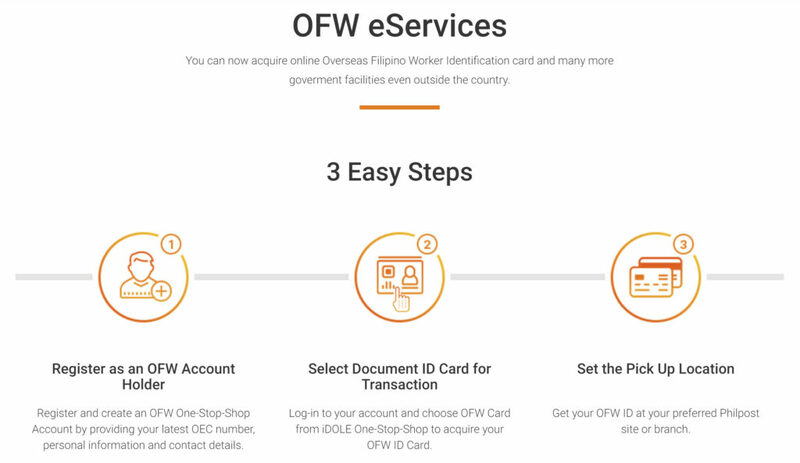 “With the use of the ID, OFWs will no longer need to queue in transacting with agencies for their overseas employment as they can now access government services online during the further phases of the iDOLE eServices implementation. The first phase of the system links DOLE with the Department of Foreign Affairs (DFA), Philippine Overseas Employment Administration (POEA), Overseas Workers Welfare Administration (OWWA), and the Bureau of Immigration (BI). How Did I Learn About OEC Processing? I learned it the hard way. Very hard, but amusing way! Late in 2016, we started processing my brother’s papers for his employment in Canada. It took us around six months to prepare all the requirements including his passport. We submitted the documents via the MyCIC website in April 2017, I did everything online. Everything happened so fast – medical exam, submission of passport, and claiming of visa. It all happened in less than two months. We never seek assistance from an agency nor asked help from a third party, a move that we later on regret not doing. We have the visa, we thought that’s all we need. In June 2017, we immediately booked his flight and he’s set to leave in three weeks. His flight schedule is 9AM, so we left Quezon City at 4AM. On our way to the airport, I had this strange feeling that something is not quite right. I just still couldn’t believe that it happened so fast, that it is even possible to do it that quick. When we passed by the POEA office in Ortigas, I had this deep sigh of relief thinking that we didn’t have to go through all the process inside that building. I would often see long lines there in the past and it surely looks depressing. We got at the airport two hours too early. We didn’t let him in until 7AM, just enough time for checkin. My sister and I proceeded to the waiting area inside the terminal and decided to wait until his plane takes off. 15 minutes later, my phone started ringing. My brother was calling and I knew that something was wrong. 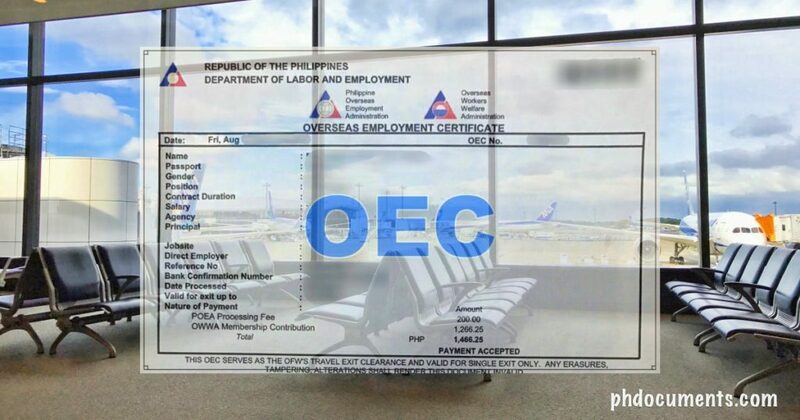 Imagine our horror when we learned that airport staff were looking for a document called OEC! We were in shock! We did try our best to possibly get him through to no avail, but we stayed calm and present. It took awhile for everything to sink in but we knew we have to keep moving. We gathered all the information we needed and left the airport. That was my longest EDSA trip ever! We spent the next five weeks literally running around Metro Manila to process his OEC. Although we knew we can’t relax until he actually makes it to Canada, we were laughing at the whole experience all throughout. We complied with all the rules of DOLE and POEA, two agencies that I wish I will never have to deal with ever again. He finally took his flight in August 2017 and landed in Vancouver safely. It’s been four months (as of this writing) and I still couldn’t believe that this happened to us, and how we actually managed the whole thing. I am proud to say that we dealt with it peacefully. It was quite an experience, but definitely something that I do not wish anyone to go through! 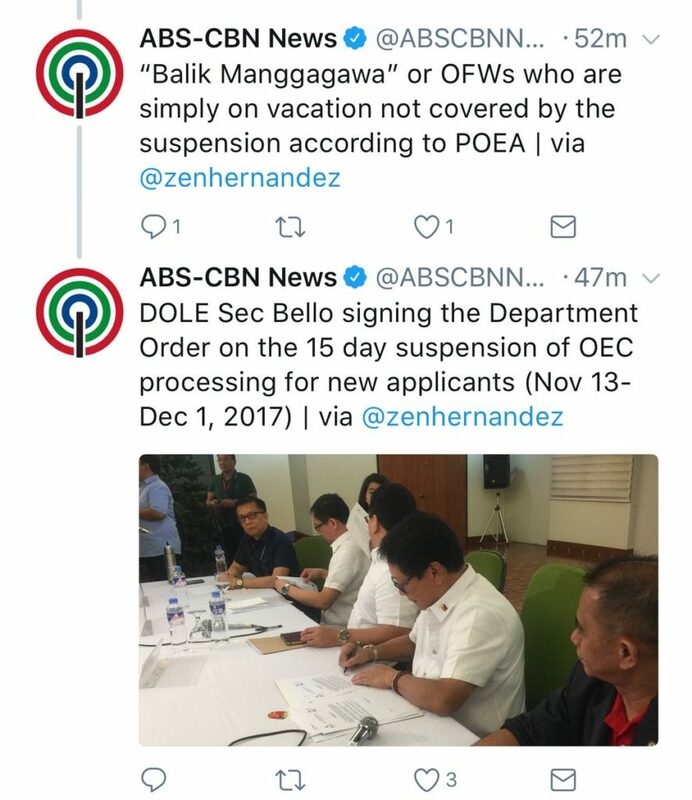 So if you are leaving the country as an OFW for the first time, make sure that you have an OEC prior to booking your plane ticket. 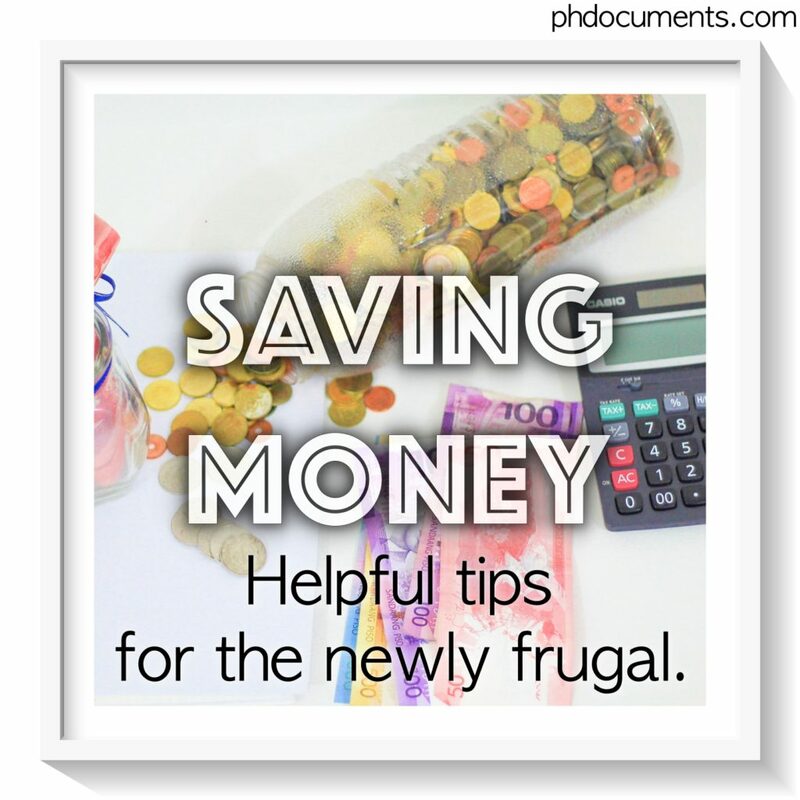 You may proceed to POEA directly for inquiries, or look for an agency that could help. Make sure that the agency is legit, visit http://poea.gov.ph/cgi-bin/aglist.asp for the list of POEA-accredited agencies. Note: These Notice Numbers get updated regularly and will definitely change every time you visit. The page will show you the main directory of Notices, each number representing a group or batch of applicants with approved OECs. These Notices will open as a pdf file, and also include an instruction on how to claim your OEC. 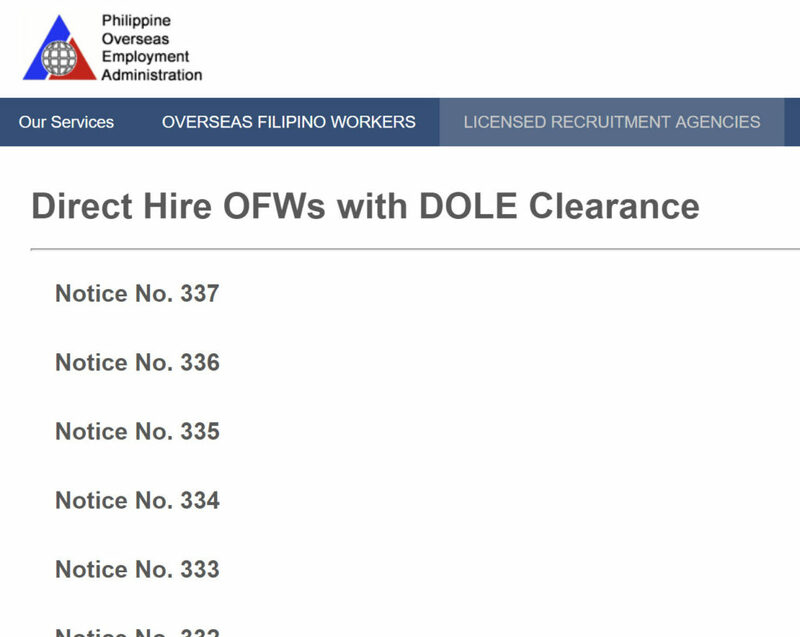 Under this notice, the clearances were received by POEA from DOLE in October 30, 2017. If your name is not on any of the lists and you want to check the status of your OEC application, you can contact POEA directly at 722-11-44 or 722-11-55. 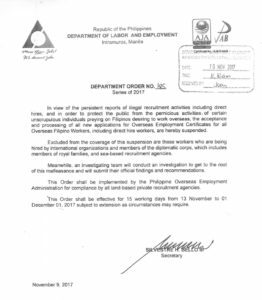 Update: POEA resumes processing of OECs, as of December 4, 2017. 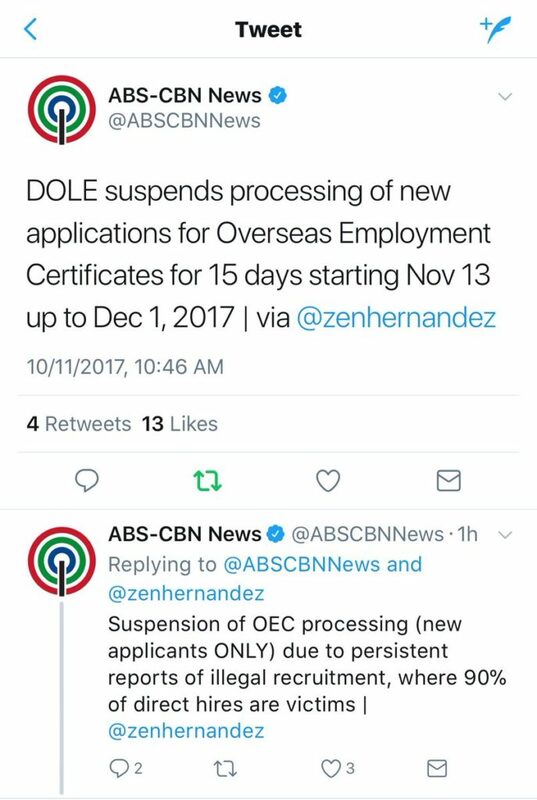 For the second time this year, DOLE suspends the issuance of Overseas Employment Certificate (OEC) for OFWs for 15 days. This will start from November 13, 2017 to December 1, 2017 and covers new applicants only. “Balik Manggagawa” or OFWs who are on vacation are not affected by the suspension. Contacting the DOLE hotline at 1349 is the faster and easier way to get an advice about concerns related to your job or employer. 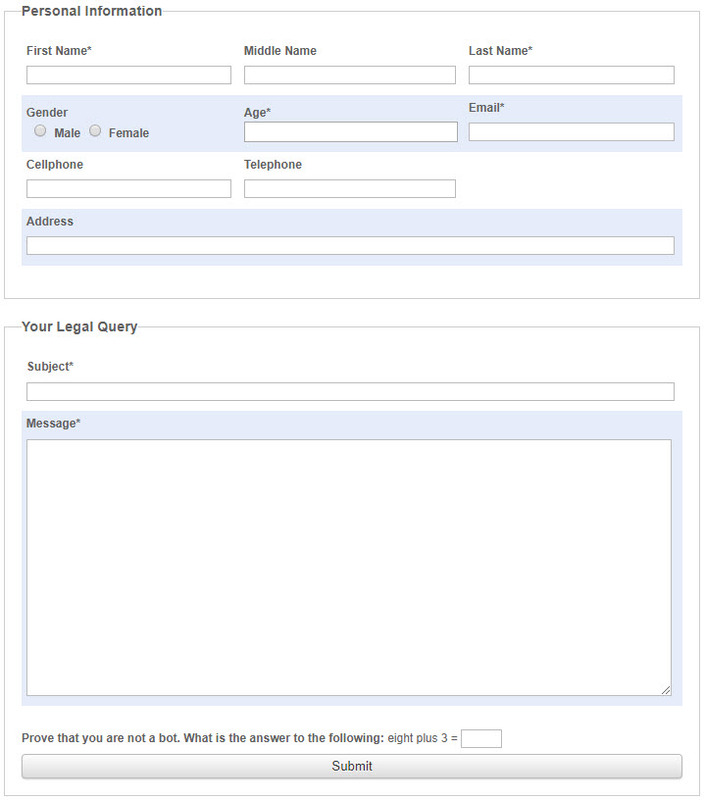 As an alternative, you can also submit your complaint using their online contact form which can be accessed at https://www.dole.gov.ph/queries/submit. 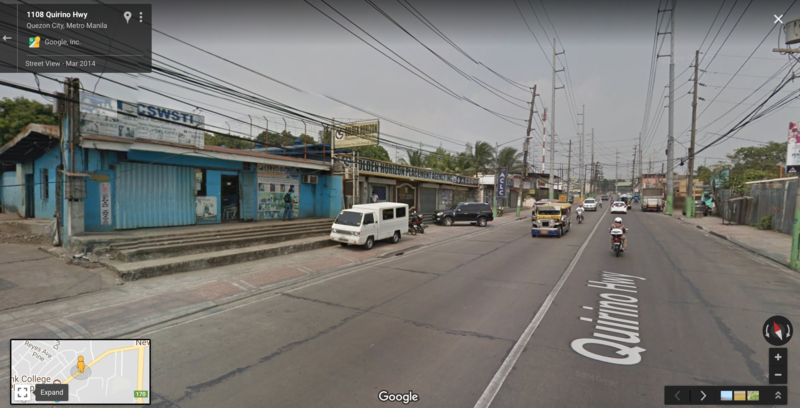 It is just along Quirino Highway, fronting a vacant lot and is a few meters away from a Shell gas station. 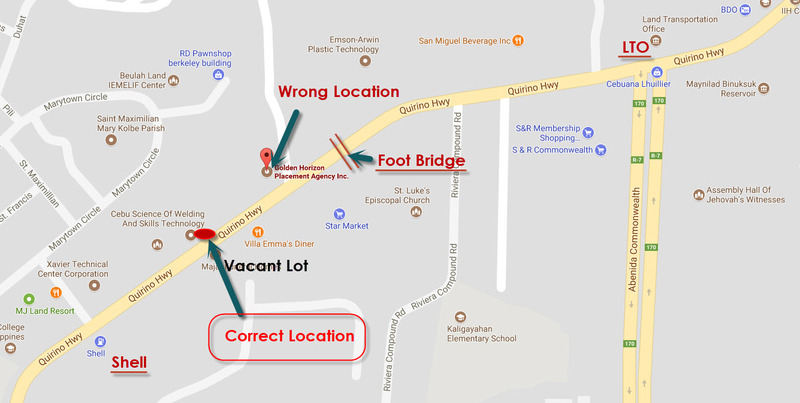 If you are coming from Commonwealth, turn left from from the LTO building, you will pass by a footbridge and the office shouldn’t be far from there. As of November 2016, direct hiring of Filipino workers by a foreign employer is no longer allowed by the Philippine Government. 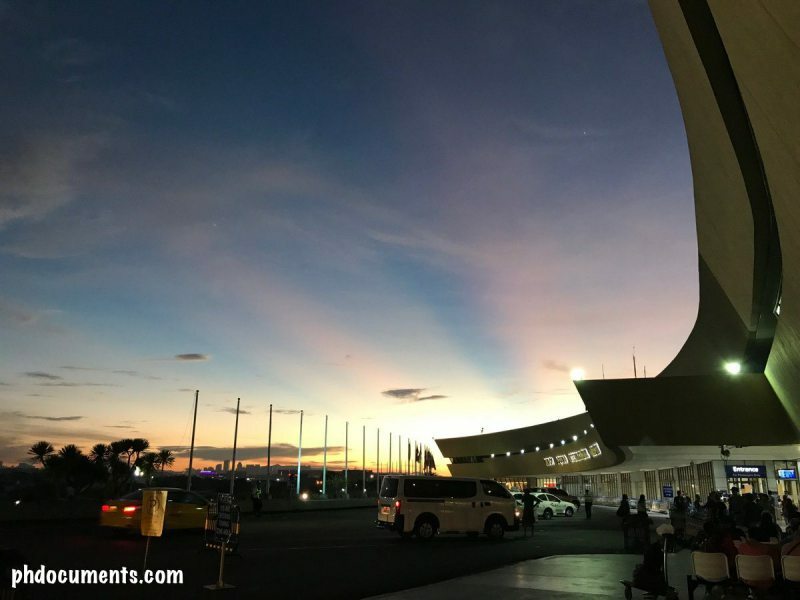 You will need to seek the assistance of a POEA-accredited agency to process your Overseas Employment Certificate or OEC, unless you qualify under the below exemptions. “Pursuant to DOLE Administrative Order No. 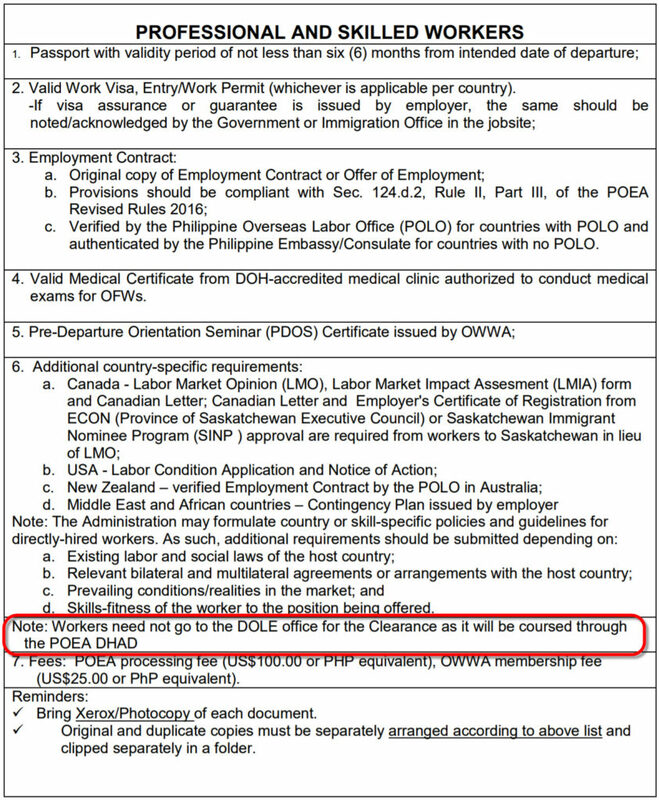 196, Series of 2018, in relation to Article 18 of the Labor Code of the Philippines (Ban on Direct Hiring], Republic Act10022, and the Revised Rules and Regulations Governing the Recruitment and Employment of Landbased Overseas Filipino Workers of 2016. while observing the fundamental principle of deployment of workers only to countries with certiﬁcation as compliant destination for our workers, the following guidelines shall govern the registration of Direct-Hire OFWs by this Administration. This means that if you do not qualify under any of the above conditions, you may need to seek the assistance of an agency to process your Overseas Employment Certificate or OEC. This way, the employment will no longer be technically considered as direct-hiring since it will go through an agency. 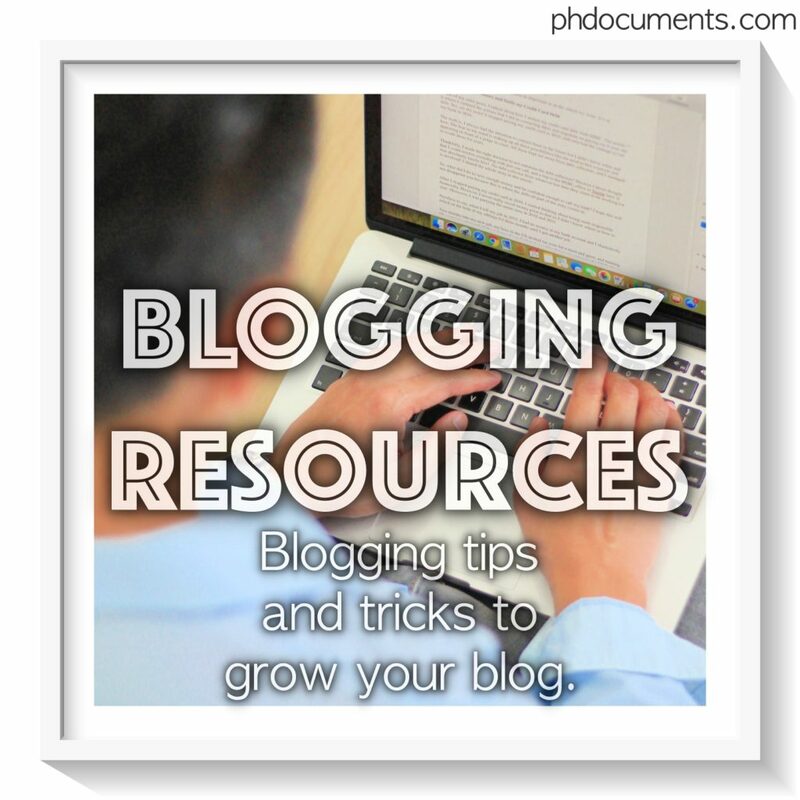 Bring your complete documents to an agency so that they can discuss the process with you. Depending on the circumstances of your application, the processing may take as short as two weeks, or up to three months. Make sure that the agency is accredited. 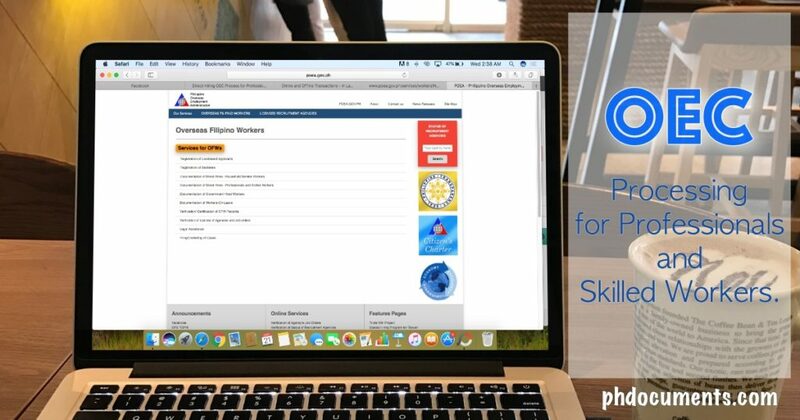 For the complete list of POEA-certified agencies, visit http://poea.gov.ph/cgi-bin/aglist.asp. 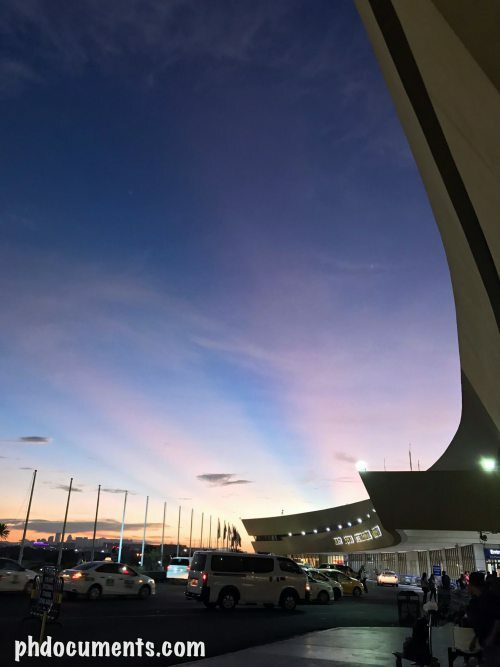 UPDATE: The OFW ID is now available, and can be obtained online. 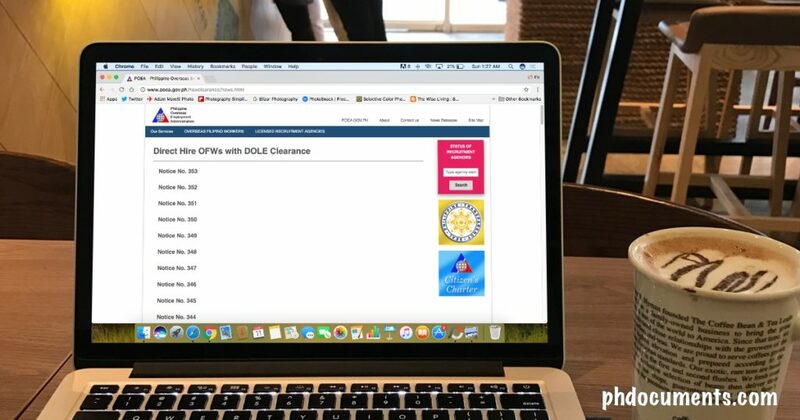 Simply login to https://idole.dole.gov.ph/ and follow the steps from the website.